In a class of its own. Korg is proud to present the B1SP Air Digital Piano. Carefully made with a sophisticated slim lined design. The B1SP makes a beautiful addition to your home. Accommodating the demands of the traditional pianist, and the modern musician. The B1 Air combines natural weighted hammer action with innovative sound technology. Housing a 9W + 9W onboard speaker system, and reproducing incredible concert grand sounds. The B1SP is made to deliver an authentic playing experience. In addition to the tonal range and exceptional audio quality, the B1SP Digital Piano acts like an acoustic piano, reproducing the string vibrations and damp resonances that give you the natural piano sound. The B1SP acts primarily as a digital piano but also provides two electric piano, harpsichord and two organ sounds, all recreated with precise realism. The B1SP Digital Piano also includes a music rest (with page retention pocket design), three dynamic pedal unit and stylish piano stand. The B1SP is carefully engineered to resemble the sound of the acoustic grand piano. From the traditional cabinet design to the sound and touch of the naturally weighted hammer action keyboard. Korg’s B1SP Air is built with a full range of speakers and a passive radiator that allow you to enjoy incredible sound projection without the need for external devices and cables. To achieve the rich, natural tones of the acoustic piano; the B1SP uses Korg's servo-assisted MFB technology which controls the movement of the cone allowing low frequencies to be reproduced with minimal distortion. Detecting the movement of the speaker cone, compensating for the mechanical response of the speaker and chamber, and returning a signal to the amp. The B1SP Air is meticulously designed to deliver the perfect frequency response. Korg prides itself in creating incredible digital instruments, with a sound that quite resembles the acoustic grand piano. Carefully equipped with NH (Natural Weighted Hammer) keyboard Action, the B1SP Air offers an incredibly authentic touch just like the grand piano. This action provides a heavier response in the lower registers, with lighters touches in the upper scale. Uniting the heart and mind of the traditional pianist, and the modern musician, in one single instrument. The B1SP Air offers incredible sound technology that intrigues the innovative, modern musician. The dynamic responsive keyboard, allows you to explore any style and genre, and express your truest intentions, with the responsive NH keyboard. 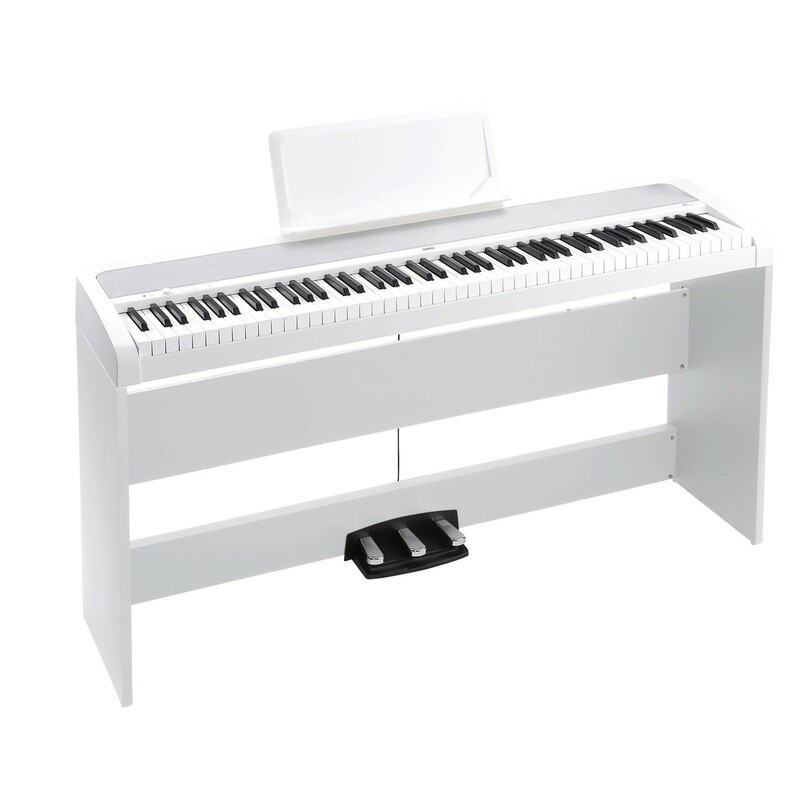 The B1SP digital piano comes packed with a metal damper (sustain) pedal, which provides impressive stability and comfortable feel underfoot. 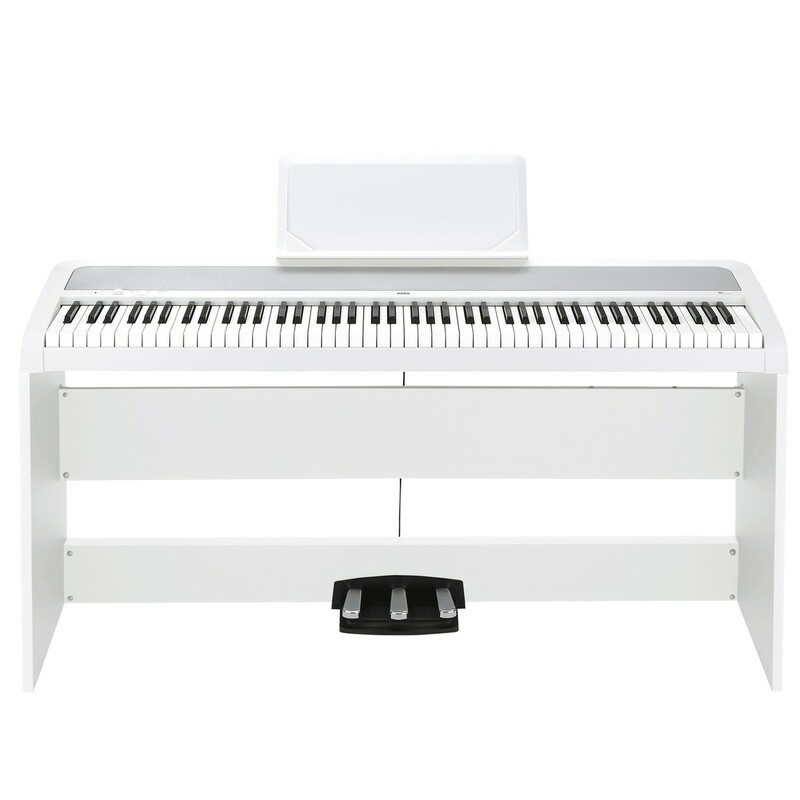 The single damper pedal adds to the expression of the digital piano, catering to a range of different playing styles and providing versatile playing options. Thanks to Korg, the Partner Mode effectively splits the keyboard into two side-by-side keyboards, with each pitched in the same range. This is an incredible function if you’re learning! As it allows you to practise with your teacher. Play the same piece at the same time. Enjoy your learning journey with the B1SP.